What is Buffalo RAID Recovery? Buffalo Technologies, including Terastation systems, are quality mass storage units that are easy to use and for a great price. They are popular for both consumer and business NAS market. Through an easy to use web interface, these systems can have multiple configurations using advanced Linux technologies. However, a challenge with Buffalo technologies, and like many other of these smaller self-contained NAS units, the underlying data structure is not intuitive. This means that efficient and accurate recovery requires specialized knowledge and tools. XFS, is a high performance file system found on all Buffalo RAID Arrays. Unfortunately, there limited commercial tools that will read XFS. There is a tool called xfsrepair that is often used against these disks. We do not recommend the use of this tool on these devices. Xfsrepair is repair tool similar to chkdisk, scandisk, fsck, and utilities of this nature. These tools can sometimes help, but, because it is not specifically used for recovery, more often these tools fragment and overwrite data or simply destroy the file system structure. This can cause damage or loss of your data. Especially true with RAID arrays; if the array stripe is damaged or out of alignment, this can cause severe damage. Even if alignment is only off by a single sector out of every million, any repair tool will create more damage and complicate the system recovery. There are procedural steps that must be taken before anything like this should ever be attempted and should only be attempted by a professional that is highly knowledgeable in UNIX. Recovery labs also have difficulty with Buffalo NAS units when files are deleted. XFS, as a high performance file system, does not delete files in a way that leaves vestiges of the file in the same way that other file systems do. 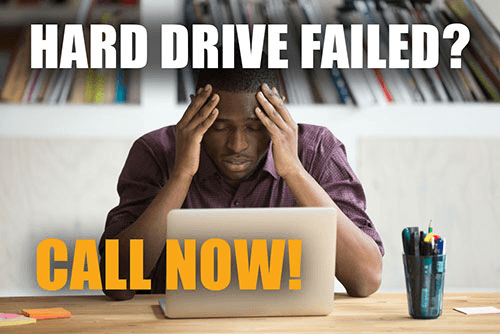 Consequentially, many data recovery companies wrongfully believe that deleted data is impossible to be recovered from these systems but will still ask for the job anyway. This could be due to lack of knowledge about the complexity of recovery or trickery in hoping to recover a few single lost RAW files and saying that is all that can be recovered. Protect yourself by making sure the professionals working on your Buffalo RAID systems have the right equipment and knowledge. With one of the highest recovery rates in the industry, DataTech Labs has developed proprietary software and techniques that allows us to repeatedly recover these devices with confidence. Our engineers repeatedly recover where other data recovery companies have failed. If you have been to another recovery company and they have failed your job or only recovered raw data, give us a call. We will get your data back, FAST!